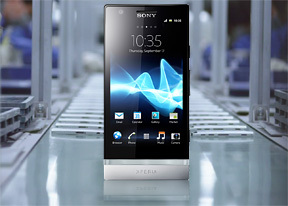 Sealed in an aluminum unibody but still oozing the new NXT series style, the Sony Xperia P joins an elite club of metal-clad phones. And then there's the WhiteMagic screen to make it unique in the mobile world. 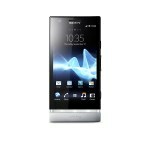 In short, the Xperia P is one of the most advanced midrange phones out there. The Reality display on the Sony Xperia P spans 4 inches and has qHD resolution, featuring the traditional for the Xperia series Mobile BRAVIA Engine. What's unique to the Xperia P is the WhiteMagic technology - an extra white subpixel to the usual RGB setup pushes brightness up to extra high levels while reducing power consumption. Specialized software aims to keep both power usage and color rendering optimal at all times. The other standout feature is the aluminum unibody - if you like the solid feel of metal, there aren't too many phones that can deliver. 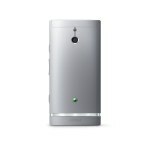 The build of the Xperia P isn't just about the metal though - the phone is part of Sony's GreenHeart program and uses nature-friendly recycled plastics and waterborne paint. While it was the outside of the Sony Xperia P that grabbed our attention, a dual-core processor, 1GB of RAM and Mali-400 GPU should easily be able to keep it. We just wish Sony would get over the ICS hurdle once and for all (the update is expected in Q3). Some users will certainly appreciate the standard microHDMI port and hardware shutter key - two things that are just about going extinct in the mobile world, even though virtual shutter keys aren't as comfortable and MHL ports require you to carry (and pay for) additional adapters. 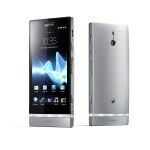 With all this buildup, the Xperia P is starting to sound like the Sony phone that people "in the know" will buy. You know, not the top of the product line, but the one that offers the best set of features for a fair price.